Research Triangle will host SouthEast SAS Users Group (SESUG) 2012 conference (October 14-16, Sheraton Imperial Hotel, Durham, NC; back to the home of SAS!). It will be my first regional SAS user conference and I will have a talk on SAS Perl Regular Expression(PRX), in the morning of next Monday, Oct 15. No picnic! 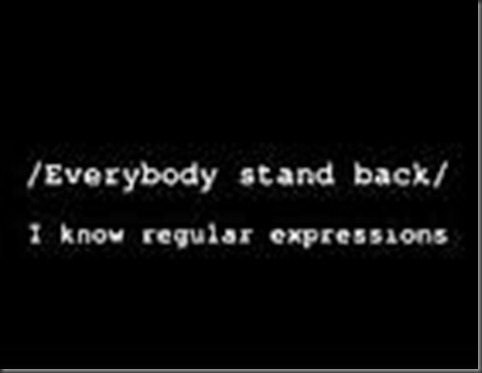 You are already using Regex: remember *.sas?